The latest on Nebraska: Ron Goetzel covers up his cover up. « They Said What? Home » Koop Award Invalidity » The latest on Nebraska: Ron Goetzel covers up his cover up. By whynobodybelievesthenumbers in Koop Award Invalidity on September 21, 2016 . Al, always funny but this is frightening. 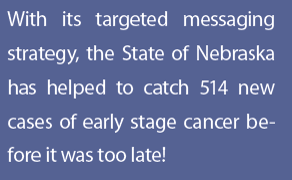 One of the ignoratti tried to say they didn’t actually lie, just an “editing mistake”-there were 500 pre-cancerous lesions, not really 500 cases of cancer! But silly them, they left out the pre- part. Shame on Health Fitness Corporation and the Koop Committee. Dr. Koop must be turning in his grave over this misuse of his name and legacy. Actually the estate does quite well for itself, licensing his name to the Committee. I am surprised that the licensing fee is more important than the legacy, though. Bam! Your last line is the best, Al! I would read your blog just for the pop culture references if nothing else (but I’d still read it without them, too). (blushing) thank you. And you know you are my favorite reader who is not even considering the implementation of Quizzify!